It’s tough to beat the chess hustlers in New York City’s parks—unless you’re the best chess player in the world. 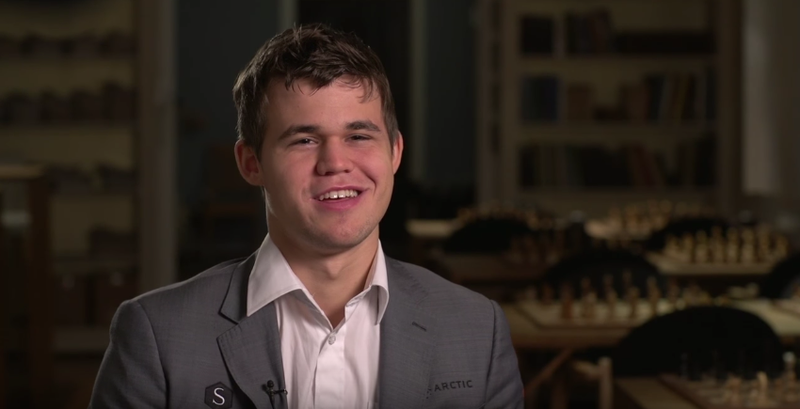 A new viral video shows 25-year-old Norwegian chess grandmaster Magnus Carlsen leaving the famous Marshall Chess Club in New York City, and deciding to take a stroll over to Washington Square Park, where he walks straight up to the best players and destroys them in about 10 moves. Most players are just trying to complete a defensive castle within 10 moves, but Carlsen just went straight for the kill, and somehow succeeded. Pure genius. No wonder Carlsen has been described as the “Mozart of Chess” before. Check out the full video, complete with an appearance from Liv Tyler (? ), for a complete understanding of how ridiculous this kid is.